How work went from being about ‘me’ to being about ‘we’ thanks to reflective time on my yoga mat. Back when I started at Reebok, the only time I’d encountered flow was writing the word out in my job title. As a Product Flow Coordinator, I had no connection to yoga and no concept of the benefits it could bring to my working life. Ten years on, I’m a fully fledged instructor. The company supported me in my journey to becoming certified, and now I am returning the favor, by running classes during the working day for my colleagues. The following points explain some of the things I’ve learned from practising yoga. In the early days, my work persona was defined by a desperation to succeed. Although most people would agree this is a positive quality, it manifested itself in the wrong way. I became quite egocentric and had a hard time listening to others. If I didn’t think of an idea, I didn’t want to know about it. 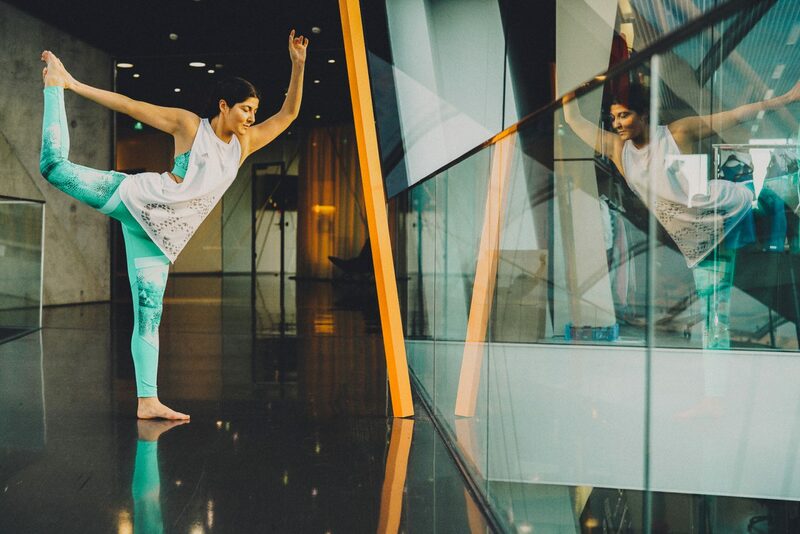 Something had to change and yoga was the catalyst for it. After a few months, work went from being about ‘me’ and how I can prove myself, to ‘we’ and how we can deliver the best end-product as a team. It made me realize that I didn’t have all the answers, and that’s okay. By becoming aware of my own actions, it taught me to step back and think about the effect they were having on people. That awareness has helped me build better relationships with my colleagues and strengthened my own team ethic. Good ideas can come from anywhere but you have to give people the space to come up with them. When I’m on the yoga mat, I have a platform to do this. It’s not so much a case of coming up with ideas then and there. It’s what comes after. Once a session is over, you come out feeling relaxed and reset. Any trivial problems floating around in your head disappear, leaving you to tackle the key issues of your day with an energized body and revitalized mind. It’s in this headspace that creativity really thrives. So I’ve learned to stop constantly chasing people for status updates. Don’t get me wrong, if I give people a deadline they still have to stick to it! But it’s important to give them the freedom they need to do their job. The whole concept of yoga is that we’re all one. This helped me see things from a new perspective when it comes to dealing with colleagues right across the business. Different departments have different targets to meet, different KPIs, but ultimately we’re all working towards the same goals. So I try to be respectful of people’s time, resources and priorities. I’ve learned that in the end, we’re all here to help each other succeed. To my colleagues around the world, don’t be afraid to pull up a mat and join us next time you’re in Amsterdam and for those looking to improve the flow in their own workplace try starting a similar session with your team. I’d love to hear how you get on in the comments below. Do you want to change the rules with your imagination? Do you want to hack the future? Great article. A mindfulness practice, whether it's seated or on the yoga mat, takes a person very far in their journey as a servant leader. Thanks for posting this and for the great work you're doing. I did get the pleasure taking a class with Kremena. Whenever you should have the chance, don´t miss it. Kremena is an incredible teacher and person. Really nice to see how you (and the company) incorporated Yoga in your daily working life. I just (re)started yoga again, at WoS' EXOS gym, and I felt the pleasure I was looking for by the yoga poses and (extreme) relaxation, to balance both body and mind in stressful times. 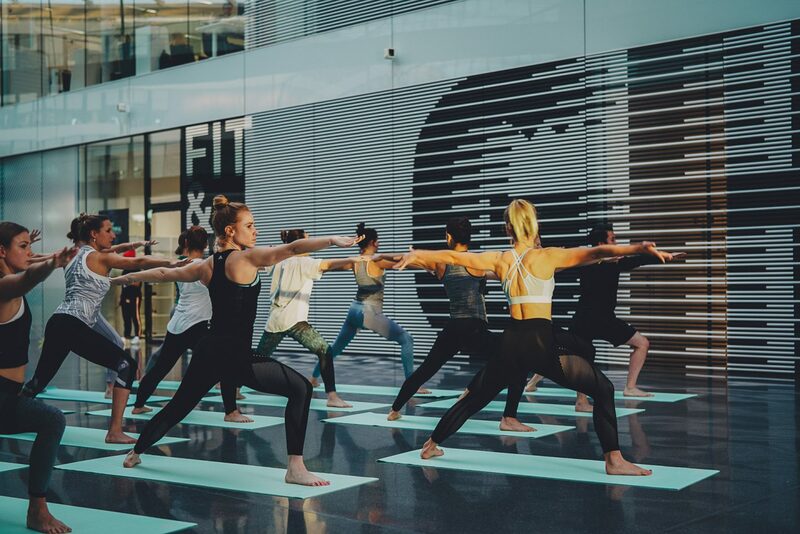 All adidas' employees should experience yoga, to know how it can be beneficial for work and life in general. You might be the one to enable this, either by blog posts/videos or sessions at various departments. It's really helpful and I especially related to point 1 as I am new to the business. Great article! Thanks for sharing your story and your passion for Yoga to the Amsterdam office! Hi! I started practicing yoga here on the company´s gym, and specially during the last months of last year, I realized how hard it could get, how challenged I could feel, and how calm my mind could be - all at the same time while practicing silent, on my own or in a class as a group. I began learning with more interest, focus, and began turning it slowly into a daily habit. I'm still a beginner, but I can definitely identify with the "we are all one". Because, I'm feeling free to add that: "we are all at the same place" ; some of us learning the basics, some of us learning the high levels, no matter the point in your career, or in your mat, we are all there, making a move fwd. Re creating ourselves. Connecting. Evolving. Re-connecting again. I could not agree more with the comment, " In the end, we are all here to help each other succeed."